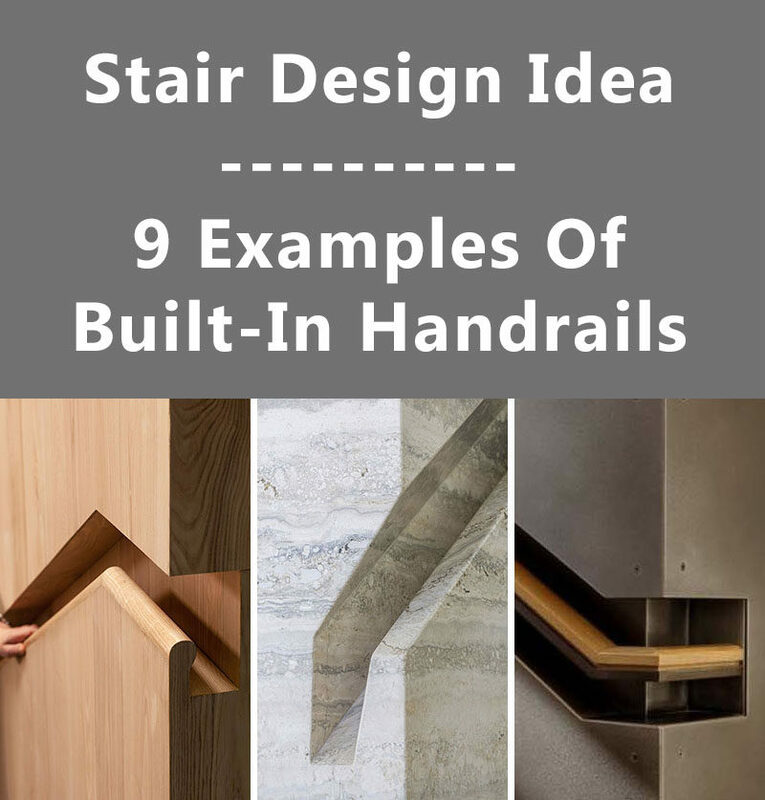 Recently, we’ve been seeing more homes and buildings that have built-in handrails to accompany the stairs. They look great and take up less space than typical handrails that are mounted on the wall instead of being built-in. 1. 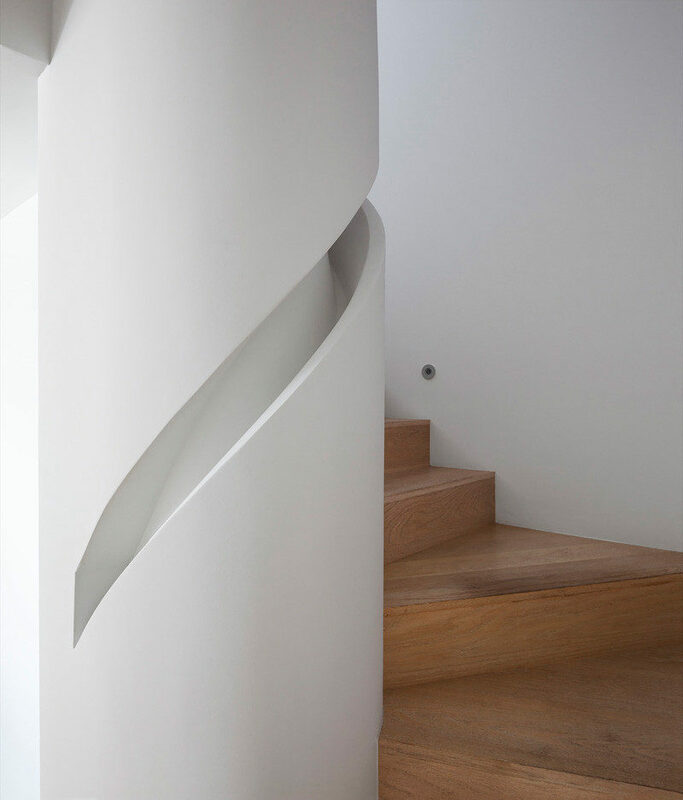 In this home, the handrail has been cut out of the material that it’s made from. Spotted in a home designed by Aaron Neubert Architects. Photography by Brian Thomas Jones. 2. This wood and steel handrail is built into a section of the wall for a more industrial look. Spotted in a home designed by Stuart Silk Architects, with interiors by Amy Baker Interior Design. Photography by Aaron Leitz. 3. 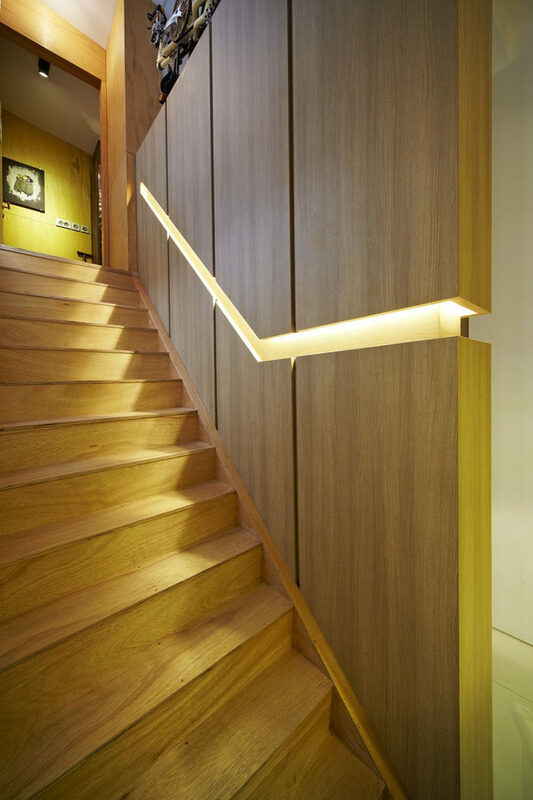 In this home, a wood wall is broken up by the built-in handrail that also features hidden lighting. Spotted in a home designed and photographed by Nota Design International. 4. 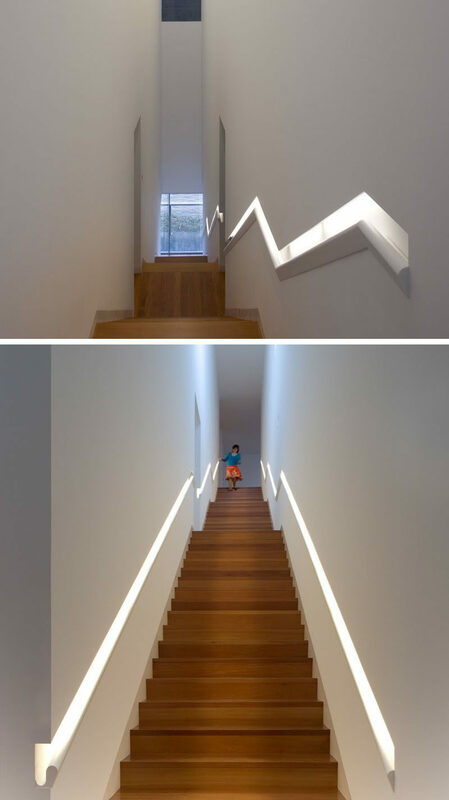 This built-in handrail that runs the length of the stairs does double-duty as a light source. Spotted in an arts centre designed by Paulo David. Photography by FG + SG Fernando Guerra. 5. 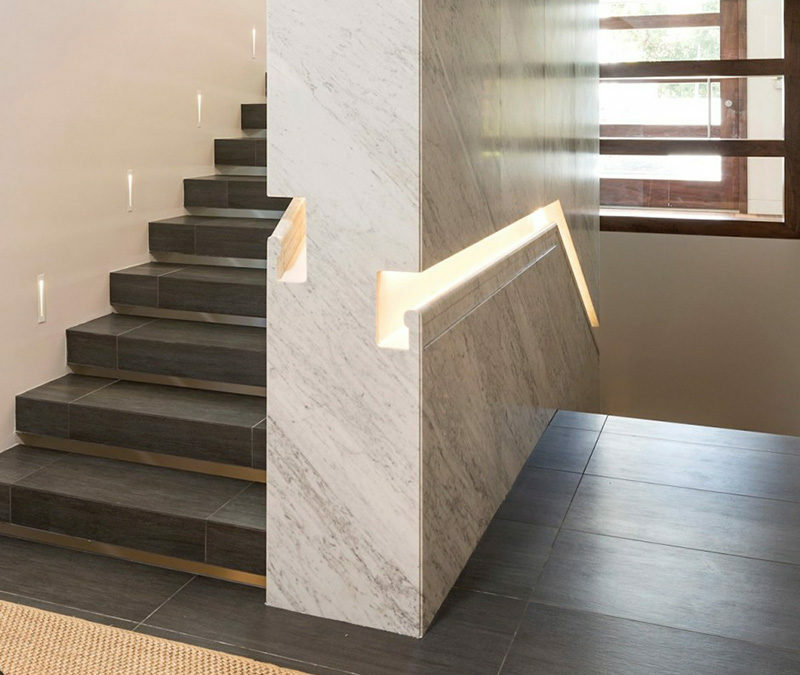 In this home, the built-in stair handrail is clad in marble. Spotted in a house designed by Quinn Architects. Photography by Berlyn Photography and Tim Street-Porter. 6. 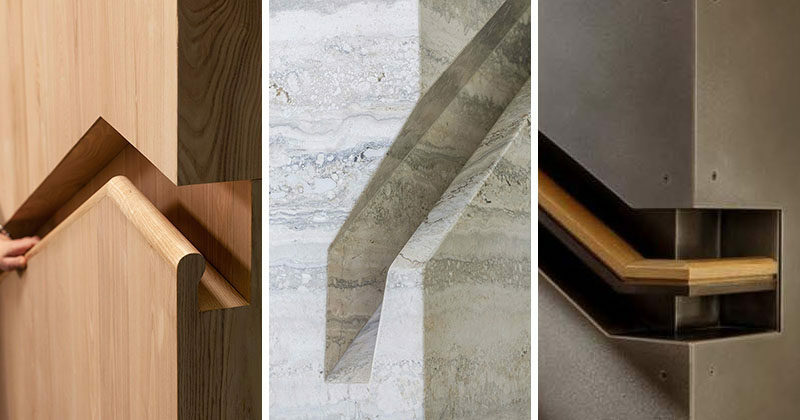 This office in Hong Kong transitions from brass handrails into built-in wooden handrails. Spotted in an office designed by Neri&Hu. Photography by Pedro Pegenaute. 7. A custom handrail has been built into the column that this staircase wraps around. Spotted in a home designed by GWdesign. Photography by Dana Meilijson. 8. 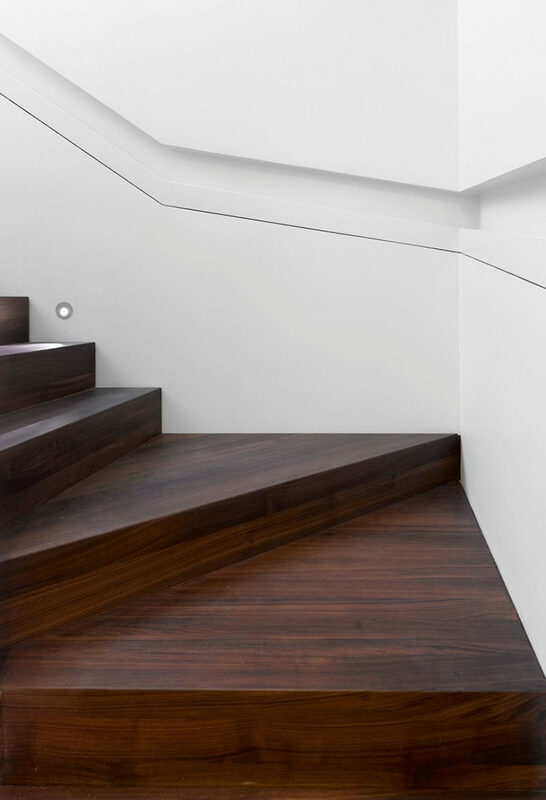 This white wall that wraps around the stairs has a section cut-out of it to house the handrail. Spotted in a home designed by Drew Mandel Architects. Photography by Ben Rahn/A-Frame. 9. These dual handrails in a daycare have been built into the wood wall, making sure both the children and the adults have a space to hold on to. Spotted in a daycare designed by Gayet-Roger Architects. Photography by Sergio Grazia.